Columbia, Mo. (Dec. 6, 2016) — The Missouri School of Journalism will recognize 143 students at the 1 p.m. commencement ceremony on Saturday, Dec. 17, at Jesse Auditorium on the University of Missouri campus. Seating is open, and no tickets are required. Guests can enter the auditorium for seating at 12:15 p.m.
A live stream of 2016 December commencement ceremonies held at Jesse Auditorium will be available. Graduate degrees will be awarded to 3 doctoral candidates and 34 master’s students, 3 of whom earned their degrees online. Of the 106 undergraduates, 15 studied convergence journalism; 10, magazine journalism; 6 photojournalism; 19, print and digital news; 10, radio and television journalism; 3, science and agricultural journalism; and 43, strategic communication. Of the graduating seniors, 33 percent earned Latin honors by achieving at least a 3.5 grade point average. 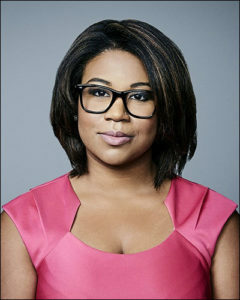 The alumna speaker will be Juana Summers, BJ ’09, an editor for CNN Politics. She is also a fellow at Georgetown University’s Institute of Politics and Public Service. Prior to joining CNN, Summers led coverage of U.S. politics for Mashable. She has also covered national politics and Congress for POLITICO and NPR. Summers is a former member of the Online News Association‘s Board of Directors and was named to Marie Claire’s “New Guard” list of the 50 most connected women in America in 2015. Before moving to Washington, Juana covered state and local politics for newspapers in her home state of Missouri including the Kansas City Star and St. Louis Post-Dispatch. Summers is a Kansas City native. She studied convergence journalism at the School. The master of ceremonies will be Samantha Kummerer, who will graduate with honors. She studied convergence television reporting and will also earn a minor in business and a multicultural certificate. Kummerer spent the spring 2016 semester in Brussels, one of the School’s Global Programs internship opportunities. Among the scholarships she earned are the Sam Bronstein Scholarship, Hackethorn Memorial Journalism Scholarship, Lois Myers McNutt Scholarship, Journalism Exchange Program Scholarship and the Mark Twain Scholarship. 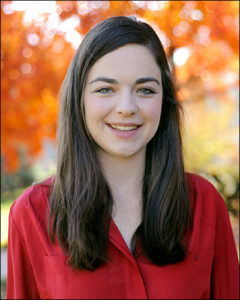 After graduation, Kummerer plans to stay at the School and earn her master’s degree in convergence journalism. Derrick Lin, the student speaker, studied strategic communication and will graduate with honors. 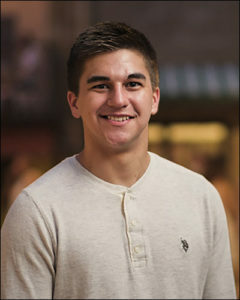 His scholarships include the Bright Flight, Curators Scholar, Missouri Tiger Achievement, Herrick Scholar, Donald S. Mozley Scholar and Synor Creative Advertising Scholar awards. Lin plans to work in account management at an advertising agency in Kansas City. Through all the late nights, big deadlines, and tough classes, we made it. We said that same thing a few years ago, too. When we took that campus tour, got our scholarships and made our first schedule, we looked at our families and said we’re going to the Missouri School of Journalism. This is the best place in the country for what I want to do. We made it. And we can still say that because of everything we’ve done. We have staffed professional TV, newspaper, radio and magazine newsrooms; worked an advertising agency; we’ve even created award-winning documentaries. These are things most students don’t usually get to do until they’ve left college, and we’ve been doing it every day for the last few years. That means we, the students, made it, nobody else. What other school can say that and really mean it? In reality, though, we’ve only made it to the starting line. This is the beginning of our careers, and for some, the master’s program. This is just one of the many milestones we will mark by saying, “We made it.” You’ll say it when you land that first job, when you get your first big break, when you get a promotion, when you are recognized by your peers for your many achievements throughout your career. Dean Kurpius, faculty, staff, honored guests, parents, students, families and friends, good afternoon and congratulations to the Missouri School of Journalism’s graduating class of 2016! I am incredibly honored to be the alumni speaker this year, and, at the same time it is completely surreal to be standing on this stage, giving this speech. I didn’t graduate from this institution all that long ago. In fact, it was seven years ago – almost exactly to the day. I had the honor of being master of ceremonies for my own commencement, which meant I got a prime seat on stage and the opportunity to say a few words in front of my peers, their families and, of course, the faculty and staff. Now, I remember very well that year being told, Juana, stick to the script. And, for the faculty in the audience who know me or had the distinct pleasure or total annoyance of having me in your classrooms or newsrooms, you know full well I’m absolutely no good at that and have a funny way of not knowing when to leave well enough alone. I don’t know if it was one too many drinks at the Heidelberg or sheer exhaustion from finishing that last humanities paper minutes before it was due, but I managed to stick to the script handed to me, I got my diploma and a handshake and practically danced my way off the stage. I’m also going to make a confession. I have absolutely no memory of what the commencement speaker at my own graduation said. Not a clue. Actually, until a Facebook memory reminded me, I had no idea who she even was. So, I’m a little bit less nervous today because the odds are very high that I’ll be part of a daylong graduation haze and in a couple of weeks you won’t remember a thing I’ve said. I won’t take it personally. Now I’m going to get to you guys in just a minute. But first, I want to say a word or two to your parents. I don’t have children, but in a few months, I’m going to be lucky enough to become a step-parent to two young girls. These last few years that I’ve gotten to know them, they’ve changed my life. On any given day, I’ve been amazed by the ways in which they navigate the world. On other days, they inspire me to pour an Olivia Pope-sized glass of wine, lock myself in my bedroom and never come out again. I can imagine that’s only a fraction of what you parents have felt for the last few decades as you’ve steered these amazing young people through the terrible twos, that awkward bowl haircut at least one of them inevitably had in elementary school, bad breakups, driving lessons, and the agonizing process of deciding where to go to college. But now you’re here. And you should be so incredibly proud of the job you’ve done with these graduates. So for you, this is my invitation for whenever you get home. It’s your turn to pour yourselves a glass of wine, put your feet up and give yourself a pat on the back. Graduates, if you haven’t already, thank your parents. And then thank them again. You’ve worked hard, but if they’re anything like my mother, they’ve worked even harder. This day is for them, too. Now, on to the commencement speech part of this whole thing. In the months since I was asked to speak to you, I’ve wracked my brain, asking myself what I wish I had known at my own graduation and what I’ve learned in the years since I was last in this auditorium. Here’s what I came up with. I wish that someone had told me that it’s okay if things don’t turn out exactly the way you thought they would. And in fact, they rarely do. I have known that I wanted to be a journalist since I was 13 years old. I had my first byline in the Kansas City Star before I got my learner’s permit. I drove to Iowa to report on the 2008 caucuses just because. Everything I did on this campus was about getting to that goal, about getting out of Missouri and to D.C. in the hopes that maybe one day I could cover a presidential campaign. I was not a great student. I never really fit in the classroom. I’m too antsy. I have the attention span of a toddler. Where I thrived was in the newsroom where learning meant actually doing something. If you wanted to find me when I was a student here, you didn’t have to look further than the KBIA offices or the state capitol bureau in Jefferson City or, for at least my first year here, The Maneater newsroom. I spent more nights than I’d like to admit pulling all-nighters in the Futures Lab rushing to get assignments done so I could spend my days reporting in the field. I threw myself into reporting and editing while I was here. I stayed on campus over winter breaks to staff the student newsrooms. I had internships every summer. And when I graduated, that paid off in the form of work. There was an internship covering the statehouse for the St. Louis Post-Dispatch followed by a quick stint at a media startup in Kansas City and a fellowship at the Kansas City Star. Within a year of graduating, I found myself packing two massive suitcases and moving across the country to cover the race for the White House at Politico. I spent nearly four years there before moving on to NPR where I covered Congress and national politics. I say all that not so you can be awed by my big fancy D.C. journalism jobs, though it’s been a lot of fun. It’s to make this next part make a little bit more sense. A little more than a year ago, I was working at NPR, which still remains one of the coolest things I’ve ever done. And someone approached me and asked me if I’d ever thought about becoming an editor. Sure, I said, maybe in a decade or so. I’d been a political reporter for about six years. Editors have usually been in the trenches longer. But they weren’t talking about a hypothetical editing job. This was a real job now. An opportunity to put my stamp on political coverage in a way I hadn’t been able to do anywhere else and to build my own team from scratch. That opportunity both excited me and scared me. I believe if something scares you, it’s usually a good idea to do it. So, I did. I left my job at NPR and joined the website Mashable to lead coverage of U.S. politics. For the first time in my career, I was in the drivers’ seat of coverage. I was making the calls on who we hired, what we covered, what new platforms we’d tell our stories on. And it was exhilarating and hard and a whirlwind. This is the part where I apologize to every editor – and professor – I’ve ever had about the deadlines I’ve missed and the hard times I gave them while I was on the road. I’m sorry, I owe you one. Anyway, we had made it through the early state primaries, and I was knee-deep in planning how our team would cover the Republican and Democratic conventions. I’d submitted our application for credentials earlier that week and was starting to think through the big stories I wanted us to tackle in the weeks ahead. And then I got a phone call that changed everything. I was being laid off, along with a good chunk of my peers as the company went in a new direction. I hadn’t seen it coming. I planned for everything but I hadn’t planned for this. I remember turning to my fiance and wondering out loud how we would afford the wedding reception venue we’d both fallen in love with a short time before. Then it hit me, I needed to figure out how I was going to pay my rent first. Aside from the practical issues of having no job and no money, I was also, frankly, a little wounded. I’d poured my everything into my work and now I found myself unemployed in the middle of one of the most fascinating campaigns I’d ever seen. More on that later. I also had two amazing reporters who I’d convinced to leave their jobs and to try something new with me who were also out of work. I felt my first responsibility was to them and wanted to do anything I could to get them hired fast. After the initial shock faded, I asked myself what the heck I was going to do next and how I was going to handle this. I took a deep breath, I picked myself up off the floor, and I got to work. With no stories left to write or edit, I began to attack my job search the same way I did any meaty piece of reporting. I made lists. I dug in. I made myself do simple things like getting dressed. I took the train in and out of D.C. every day to meet with former colleagues and prospective employers. I traded texts and emails with other colleagues who had also been laid off, forming a little support group and helping each other track down job leads. Ultimately, my staff got jobs. And so did I. I landed at CNN, and it has been an honor to now call some of the journalists I’ve admired for years colleagues. So, on one of the biggest days of your life, why am I talking to you about one of the worst days of mine? It’s because failure is inevitable. Because failure causes you to examine who you are, what you want out of life and what it takes to get there. Losing a job I loved in a very public fashion forced me to get real with myself about what I wanted to do and the type of person I want to be. What I learned is that when I’m faced with adversity, I respond with doggedness and determination. When life throws a curveball, I grit my teeth and figure out how to make the new normal work for me. I also learned that I have friends and family and a partner who are kinder than I knew and are more valuable than anything in the world. Maybe your failure won’t come in the form of losing a job, but you will fail, too. If you’re anything like me, it will be an unfamiliar and deeply uncomfortable feeling. When you’re in it, it’s hard to feel like things will ever get back on the right track. But they will, and you will, and you’ll be a stronger person for it. One other thing I wished someone had told me? You really do need an emergency fund. Squirrel away a couple bucks a week. Your future will thank you. My education here at the Missouri School of Journalism provided me with the experience and the skills to chart a path from Columbia to our nation’s capitol as a political journalist. But more importantly, this institution instilled in me the values central to being a journalist. Those values, I believe, matter most. And there’s no time better to talk about the values of our industry than right now. I’m sure that many of you are tired of hearing about this election and its outcomes. You’ve had challenging conversations in the classroom and at the Thanksgiving dinner table and over drinks downtown about what it all means. I don’t want to drag you into the muck of the campaign on a day that rightfully should be all about you, your accomplishments and your future. But I think it would be a bit dishonest of me to come to this institution, one that has stood for decades as a pillar of press freedom and the premiere institution that educates budding journalists, without acknowledging what we’re up against. In the days following the election, one thing has become even more clear here at home: Journalism is facing significant challenges. The incoming administration put the media at the forefront, and it wasn’t in a positive light. There have been threats of changing laws that protect the press and threats to internet freedom. Americans’ distrust and confidence in the media is at an all-time low. Perhaps you’ve experienced that up close as you’ve told stories here in Columbia or in communities across this state and country. I’ve seen it in small towns and big cities alike where voters have been skeptical of speaking with a reporter from a mainstream media organization. Sometimes, attempts to interview people have been met with outright hostility. These challenges don’t stop at our coasts. The rights of journalists around the world are also at stake. That’s something my colleague Christiane Amanpour spoke passionately about when she was honored by the Committee to Protect Journalists earlier this year. She was referencing the false claim that the media had incited protests following the election. Lately I’ve been asked some difficult questions both by peers, colleagues and students I’ve encountered who hope to one day do the work that I do. What will journalists who cover an administration openly hostile to reporters do for the next four, or even eight years? Will the hostility continue? Will it get worse? Do you even want to do this anymore? If you’re an aspiring journalist and you’re asking yourself those questions, I can’t promise I have the answer for you. It’s a determination you have to make yourself. But I can tell you what I believe, and what my values tell me, values I learned here in the newsrooms on this campus that you’re graduating from today. Those values tell me that what comes next is simple: We do our jobs. We work hard. We dig in. Today’s world demands a press that will doggedly pursue the truth about the institutions and people we cover, no matter how powerful they are. Holding power to account is why journalism exists. It is a job that often only journalists can do. It’s a right and a responsibility enshrined in the First Amendment. And one I, and the people who built this institution, take incredibly seriously. One of my favorite places on campus is the arch outside the journalism school that reads “Wise shall be the bearers of light.” When I was an undergraduate, I thought it was a bit poetic. I even considered getting it tattooed on my calf when I graduated. Yes, I was that kind of nerdy. But now, after so much time has passed, it holds new meaning. Today, you receive your degree, and you join thousands of other graduates across the country who are guided by the same set of principles: a tenacious pursuit of the truth, a staunch belief in the freedom of expression and of a free press. Graduates, this is your opportunity. This is your responsibility. We need your light now more than ever. Congratulations to the class of 2016: I look forward to being your colleague and to watching you take the lessons you’ve learned here out into this world.